Ergonomic – Separable segments can enable single-person installation and removal. Economic – Allows you to buy a single drive segment and use it on multiple totes with dedicated agitator segments. Reduced Cleaning & Contamination – No more cleaning agitators between applications and worrying about cross-contamination. Fully Enclosed Mixing – Many tote mixers do not close the tote opening when mounted. Dynamix’s ITM mount provides a sealed enclosure, preventing foreign particles and contaminants from entering the tote during mixing. Dedicated Agitator Segment – Control mixing and product quality at your end-user’s facility by supplying the ITM Mount. Our collapsible impellers overcome the limitation of the 6″ opening on typical plastic totes. Capable of internally expanding up to 21″ in diameter, larger blades provide the pumping and tank turnover required to bring your product back into specification. Quality, performance, and energy efficiency increases when properly sized impellers are used. Available in Pitch, Dynaflow and Radial Impeller Blades. Note: We do not have one single model for tote mixers. We have tote mixers for each type of tote container and multiple configurations to address all the challenges of tote mixing. Because our success is built on yours, we’re not satisfied until you are. 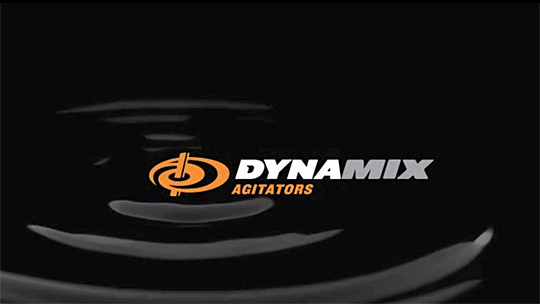 Every agitator and mixer that we design is backed by a performance guarantee, so that you don’t take any risks. If our agitator or mixer doesn’t bring your product to uniformity according to the approved specifications, we’ll replace it with one that does. Submit a quote request form or call us at 1 877 331 0045 with the information that you have.